I see I've been lax the last few days posting my photo a day here, so while I had a few minutes, I thought I'd catch up. 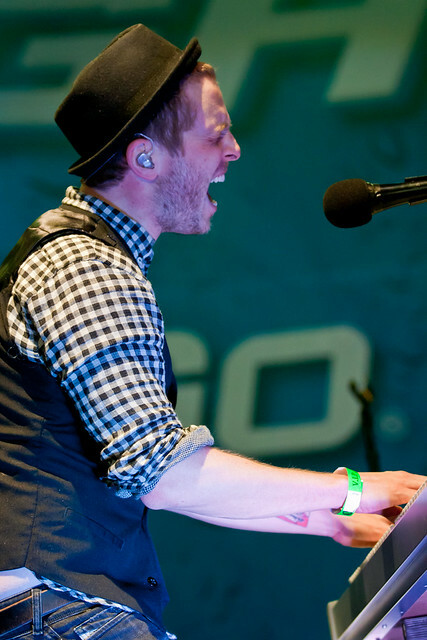 First and foremost though, my photo for today is of One Republic. I'm planning on doing a dedicated post on that event once I've had a chance to go through all of the photos I took, but I was lucky enough to not only see them at Denver Big Air, but also be right in the front so I could get some good pics. Shooting concert photography is really really hard, and I'd like to thank Alan Hess for giving me a few pointers beforehand so I at least at a chance of getting some good shots! Like I said, I'm going to do a dedicated post about it, and I haven't gone through all my photos, but this one caught my eye. Even though the lighting is kind of weird on his face, I really like the action I captured with this one. 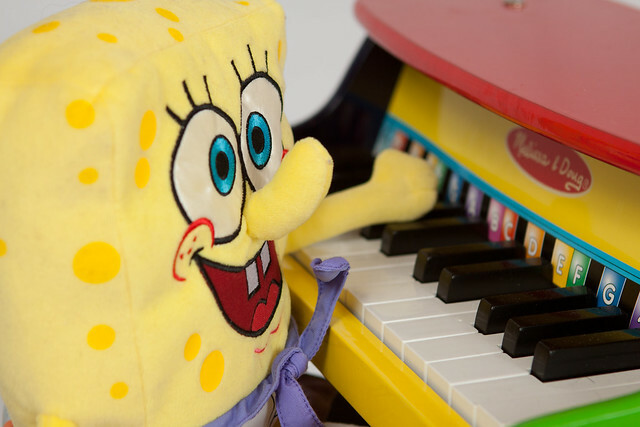 Yesterday I chose Spongebob as my photo. The Random Acts of Photography meetup I'm a member of does a monthly photo assignment. This month, the theme was music, but it had the added bonus of no post-processing allowed - everything had to be straight out of the camera. Hard for me, but I did it. Shot on a white background, metered the light, and set a custom white balance. 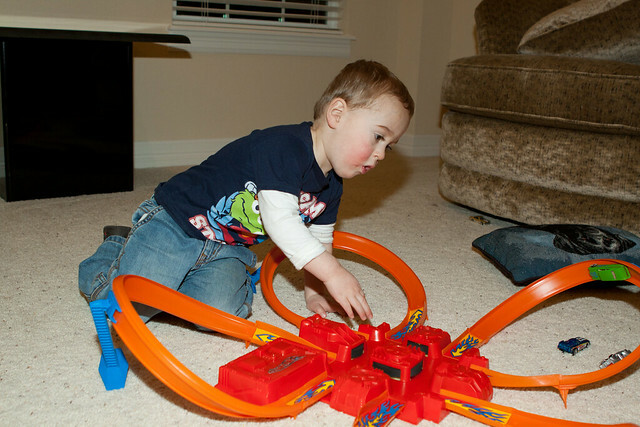 Tuesday was Peter and his Hot Wheels track. Randy got it for him for Christmas, and I had my doubts about it, since it said "7+" on the package. We unpacked it, set it up, showed Peter a couple of times how to put the car on the track, and the fact that you had to push it a little bit to get it going, and that was it! Now he always wants to play cars, and always plays cars with the track. He loves to line up all the cars first, and take the next one in line if one falls off the track. 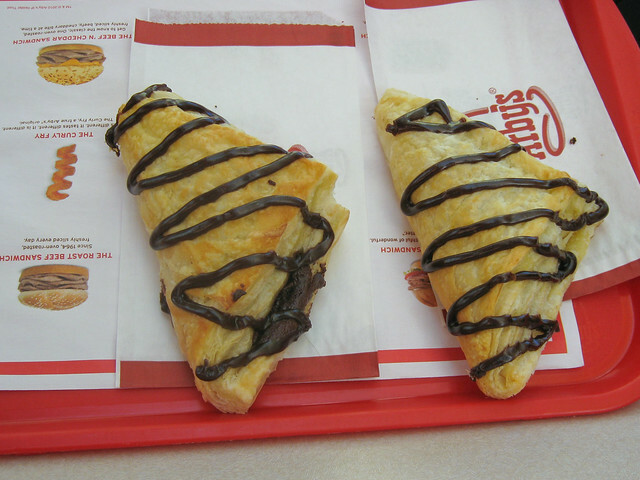 Lastly, Monday was Arby's day, and the absolute best thing Arby's has on their menu, are the Chocolate Turnovers. That's all that needs to be said about that.